In keeping with our goal of "living" with lymphoma, we made the decision to keep travelling with Jack as long as he was well enough to enjoy it. Here are a few images from Jack's summer vacation - a weekend on the Mendocino Coast at the Inn at Schoolhouse Creek. Steven & Maureen have a beautiful place in a spectacular location. Jack enjoying his Subaru along Hwy 1. We made it! Our cottage at the Inn at Schoolhouse Creek. Hwy 1 is a long and winding road - but the vista's encountered along the way are amazing. 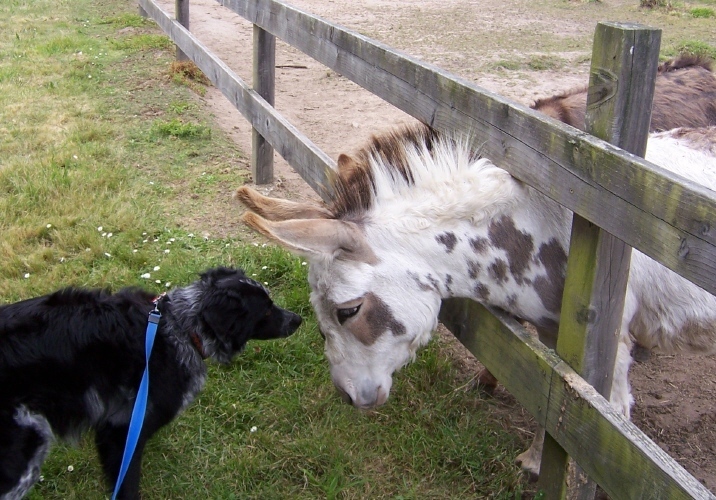 The Inn is home to two miniature donkeys - Heidi & Monique. 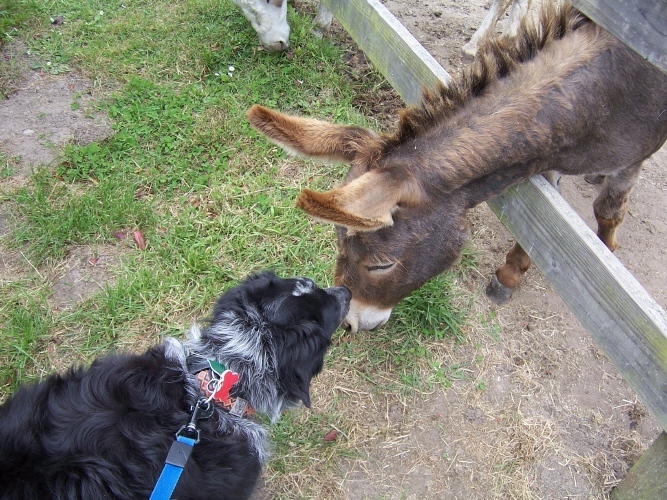 Jenny was absolutely fascinated by them; we've never seen her react this way to another animal. 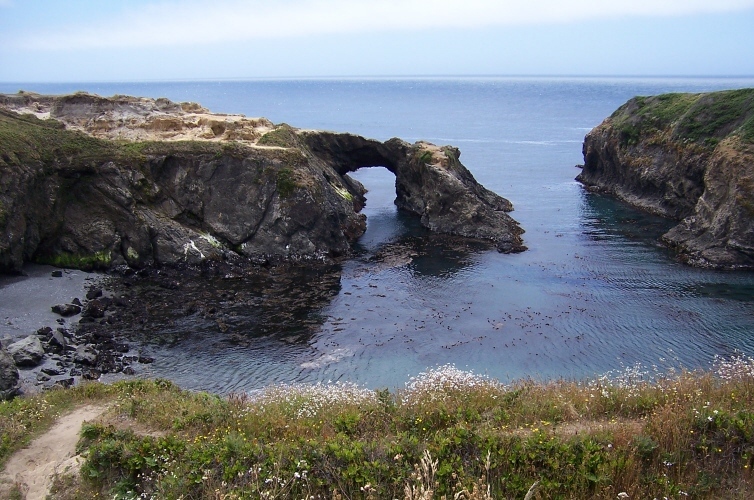 This natural rock arch is along the Mendocino Headlands.